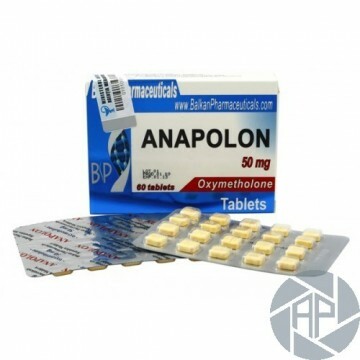 This is one of the most known and field-proven anabolic steroids. It has excellent properties, for which the respect of bodybuilders won in many countries around the world. It was invented in the 1960s as a means to treat the patients' physical buildup, the restoration of the functional characteristics of the body after surgery. A little later, the beneficial properties of the drug were appreciated in sports. In particular, began to be widely used athletes began to sports such as boxing, sambo, and the course of bodybuilding. Before you begin the course, make sure that you do not have health problems. It is best to complete a full course of medical examination and which will help you identify possible problems in your body. Also, keep in mind that the drug should be taken only to adult persons who have attained the age of 21. This is due to the fact that at this age, men are usually body already trained and ready to receive any type of drugs. Many professional trainers say that you must not engage in courses of long duration with the use of this drug. Why? Since the main effect is for the first 3-4 weeks of receipt. Likewise, continuation course may result in the development of side effects, which, if it is possible, of course, should be avoided. For more guarantees of recommending the step after the course of therapy. Allows you to restore the body, to bring the remains of the drug to an athlete and avoid many of the unpleasant consequences of his admission. The dose of this drug is best to choose on the basis of the recommendations of the trainer and the doctor, who, in turn, start from the physiological characteristics of your body. In any case, the dose should not exceed 100 mg brand per day. high excessive doses of the drug can result in the appearance of the symptoms of an overdose, followed by side effects. The drug also can be used not only for courses in solo but also in combination with many other anabolic steroids known today. However, basic drug dose should be reduced. Athletes who take the drug say it is very good properties to increase lean muscle mass. In addition, it significantly increased the performance of the power of the athlete and the percentage of its Constitution, which of course, is an essential factor in long-term permanent and exhausting training. In addition, the drug eliminates the excess fat from the body, giving it the most beautiful topography and shape. For this reason, many athletes use drugs prior to the competition, to achieve the desired relief and the type of the muscles of the body. Like all anabolic steroids, the drug is not, unfortunately, lacks certain side effects. In general, they have a place to be when the athlete interested in too large doses or medication also adjusted its course. The main side effects in athletes manifestations such as diarrhea, mild nausea, appetite impairment were observed. Compared to most other anabolic steroids, the drug to a lesser extent reduces the level of endogenous testosterone. Another advantage is the absence of substances of estrogenic activity. But, despite this, there are often cases of Gynecomastia, edema and the excessive accumulation of fluid in the body. steroids structurally derived from dihydrotestosterone, and not shows the progestogen exposure. The daily rate should be divided into equal parts in order to provide a common hormonal. Athletes say the rapid increase in muscle mass and power performance, but at the same time is not an important phenomenon of reversion, and following the cancellation of the cattle weight loss course can reach up to 50%.